Aside from the huge floating Christmas tree at Riverpark, there's also a huge Christmas tree near Riverbend Hotel and Riverbanks Park resembling a giant party hat. 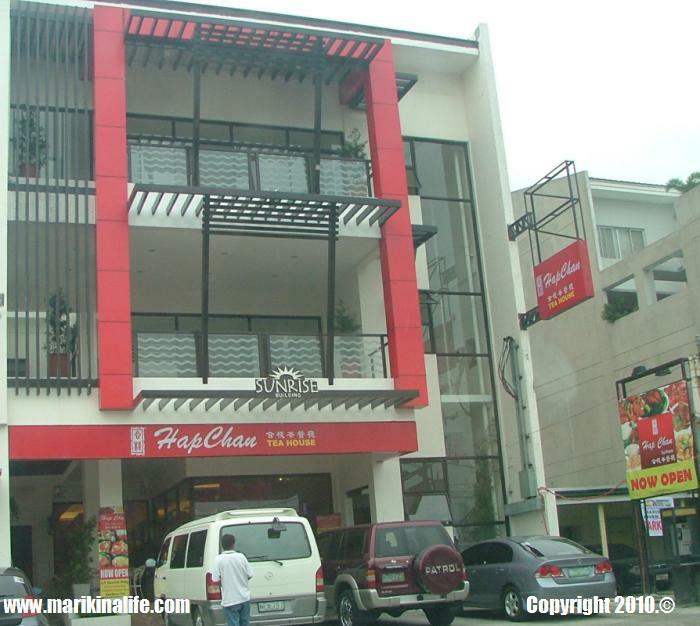 A new branch of the popular Chinese restaurant chain Hap Chan opens in Marikina. The new branch, which opened last October is located at the ground floor of the newly built Sunrise Building along Gil Fernando Ave.
range of popular Chinese cuisine such as spare ribs with tausi sauce, seafood hotpot, birthday noodles, mixed meat noodles, yang chow fried rice, shrimp dumpling, shark's fin dumpling, hakaw, sauted beef with broccoli flower, suckling pig cold cut, roast pigeon, braised crab with ginger and onion, shrimp balls, swahe, steamed lapu-lapu with soy sauce, steamed egg with dry scallop, patatim, lechon kawali and many more. Hap Chan Marikina City branch is located at the ground floor of the Sunrise Building along Gil Fernando Ave. near Banco de Oro. Parking is available in front of the building. Marikina residents who don't have access to cable pay-per-view or watch the boxing bout live in select cinemas were treated to a free live via satellite viewing at the Marikina Freedom Park. The city of Marikina setup 2 of its LED trucks in the front of City Hall for people to enjoy the match. The park, which could accommodate up to 3,000 people was opened to the public as early as 7 a.m.
Marikina Mayor Del De Guzman stated that providing the citizens the opportunity to watch for free and cheer for Manny Pacquiao is the least they could do as a simple way of honoring the pound-for-pound king. Put on your dancing shoes and be a part of Marikina's roster of the high elite society in "Disco In Stilettos" Ballroom Dance Party. This will be held on October 28, 2010 7:00pm at Sweet Madie's Cabin (42 Gen. Ordonez St. Marikina Heights) P500. per head includes entrance and dinner. For more details, call 466-2789 or 997-6614. Typhoon Megi (local code name:Juan) is so far the strongest storm to hit the Philippines year. It is also currently being recorded as the 4th strongest typhoon to hit the planet. Signal No. 4 has been hoisted in the provinces of Cagayan and Isabela, with maximum winds of up to 225 kilometers per hour (140 mph) and gustiness of as much as 260 kilometers per hour. As early as now, city government is planning to move their command center to higher ground. They are also preparing additional boats and improvised floaters for rescue operations if the need arises. 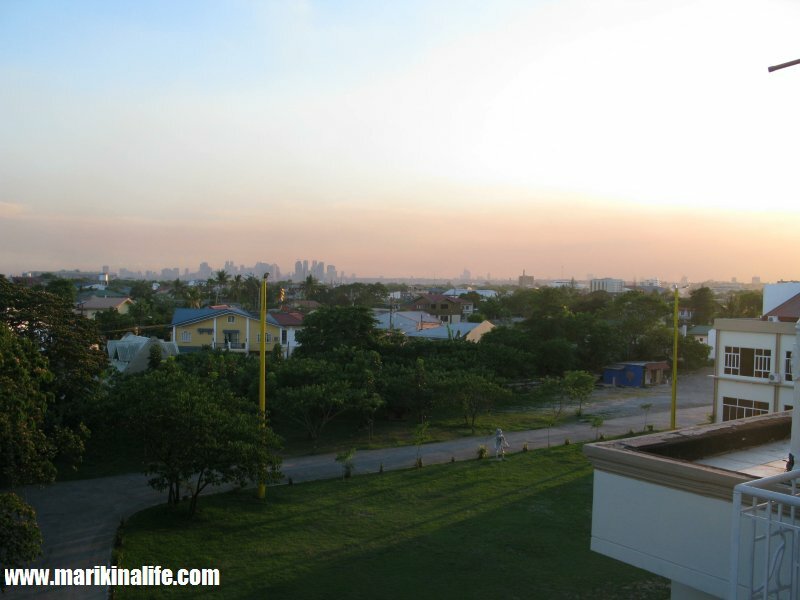 Marikenyos and Marikenyas each have their own personal experiences they treasure from living in Marikina. 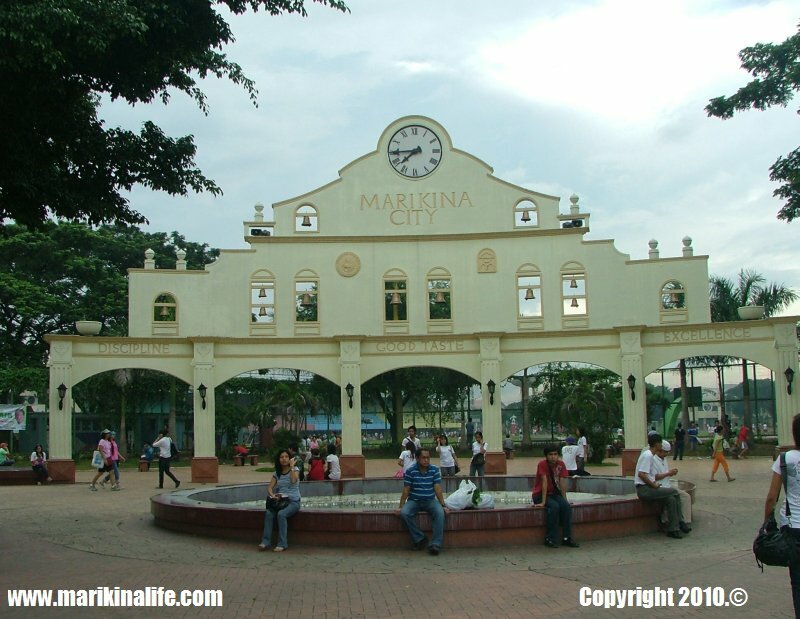 For those who've visited Marikina, we'd like to hear your personal memorable experiences. Post what you remember when you visited the city of Marikina and why was it memorable. It may be a place, an event, a person or moment. Share with us your stories. We'd love to hear them. 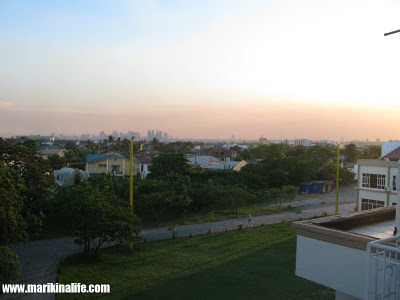 I was walking along Marikina Sports Park last week when I notice the changes happening in the city. We have been under Mayor Marides Fernando for so long that I got used to the pink colors(my favorite by the way) that it took me a while for notice the changes. SM City Marikina is having a 3 day sale from Sept. 17 to 19, 2010. Find discounts of up to 50% on selected items mallwide. In addition, for every P500. purchase, you are entitled to a raffle tickets where 3 Deviant LED Tech LCD TVs are up for grabs. The redemption center is to the immediate right side from the main entrance. Also scattered around the main front area are several items for sale such as plasticware and bags. Mall hours on Sept 17 and 18 are until midnight and up to 10pm on Sept. 19. Certain areas in Barangays Malanday, Sto Nino & Calumpang will experience brownouts between 4pm to 5pm on September 6, 2010 as the Meralco Meli substation will undergo maintenance and repair. 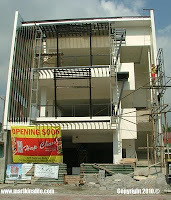 Portion of J. P. Rizal St. from Valentino Subd. in Bgy. 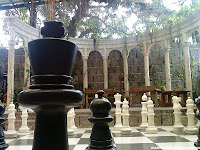 E. Rodriguez Sr. Memorial Hospital in Paliparan Subd., Bgy. Sto. Santos, Capt. Miyong, Yamson and A. Mabini Sts. in Bgy. Calumpang. Marcos S. Cruz, Zapateros and P. Dela Paz Sts. in Bgy. Sta. Elena. REASON: Maintenance works inside Meralco – Meli substation. For updates on scheduled power outages, you can visit the MERALCO SCHEDULED MAINTENANCE UPDATE blog. the time centerpiece at the corner of Sumulong Highway and Shoe Ave.
Typhoon Basyang (international name Conson) landed on the Philippine area of responsibility early this week. Being the 2nd typhoon of the year, Basyang brought more winds than rain as winds of up to 95 kph were felt the strongest around Tuesday night till a couple hours past midnight in Metro Manila. Classes were suspended when signal no. 2 was raised by the Philippine Atmospheric Geophysical and Astronomical Services Administration (PAGASA). 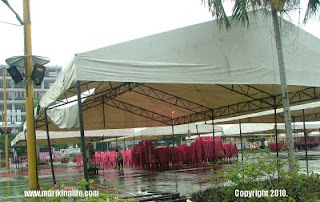 Marikina City had already rolled out flood-preventive measures. However, the typhoon didn't cause any destructive flooding to the city. Instead, wind-related casualties were brought about. Several tree branches were torn apart and signages were torn down by the winds. 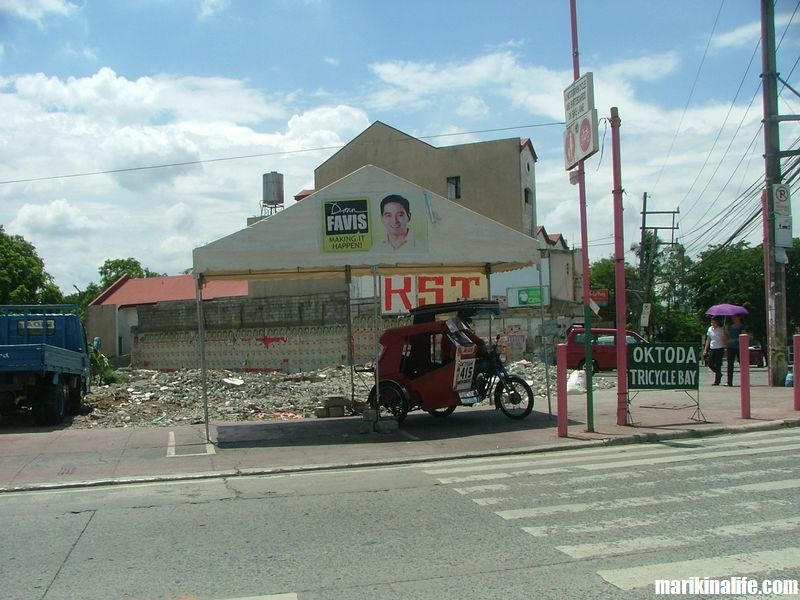 A signage fell down along J. Chanyungco St. (former Oriole St.), in New Marikina Subdivision. Also, a huge tree was uprooted and blocked the road at Father Manalo Street in Barangay Sto. Nino. And even though there was a major power failure Luzon-wide causing an entire day blackout, an electrocution casualty occurred when a man who was believed to be drunk, suffered from third-degree burns when he touched a high-tension wire in Calumpang, San Roque early Wednesday morning. Prior to typhoon Basyang, Marikina City Mayor Del De Guzman has already begun implementing flood-preventive measures such as ordering the regular dredging of the Marikina River and unclogging canals and various waterways within the city. There are a predicted total of 20 or more typhoons to hit the Philippines this year and whether or not they may be as destructive as 2009's Typhoon Ondoy, Marikina City is on alert to make all flood-preventive efforts for the rainy season. 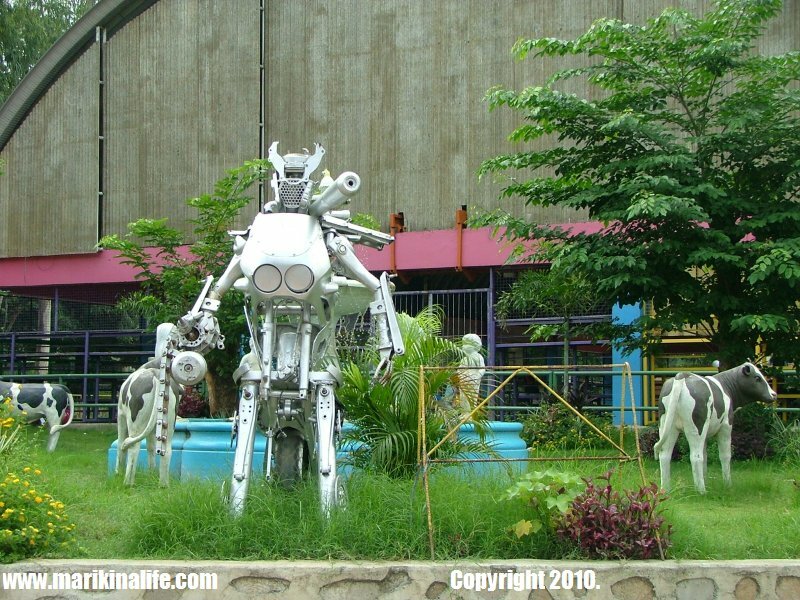 A herd of statue cows in the background and a city robot are fronting the gymnasium at Marikina Heights around the corner of East Drive St. and St. Marcellin Champagnat St. right beside St. Scholastica Marikina and Circle Mall. Mayor Del de Guzman has ordered the City Health Office to conduct a clean-up effort to prevent further spreading of dengue. 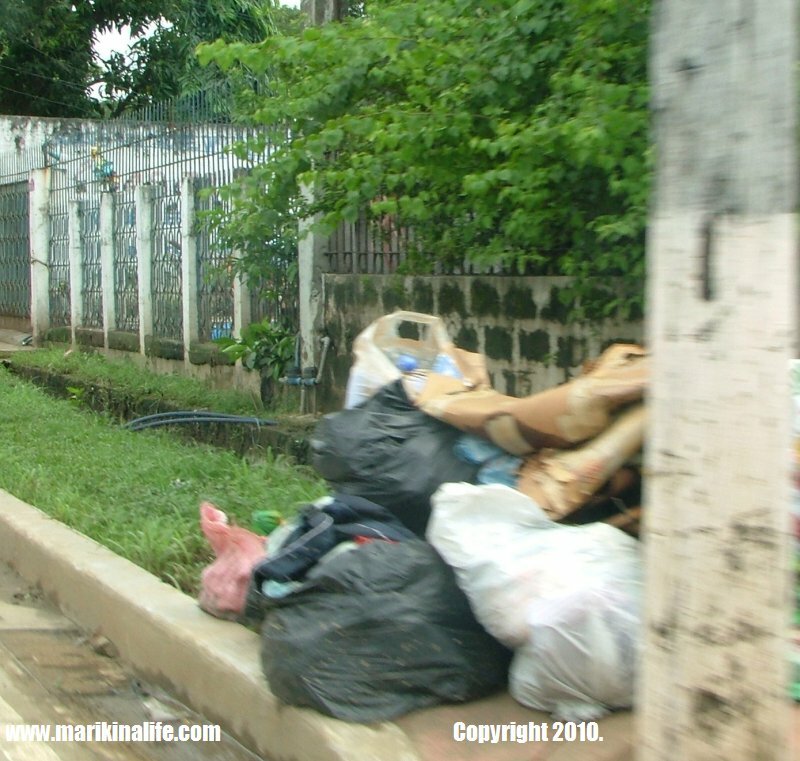 Popular breeding grounds of this mosquito-borne virus are stale waters from drum containers, gutters, canals and mud puddles, thrown away bottles & cans and other hiding places like unused tires are what the City Health Office will be looking for to clean up. A couple of dengue-related cases have been reported in Barangay Concepcion Uno and Barangay Industrial Valley Complex. Because of this, Assistant City Health Officer, Dr. Honnielyn Fernando mentioned that these two barangays will be closely monitored in addition to the appointment of health personnel to supervise dengue monitoring for the other barangays. The City Engineering Office is also helping out by continuing its operation “Walang Pusali sa Marikina” and “Operation Tambak” which both aim at filling open spaces and stale water areas with soil to prevent stagnant water. Ever needed household help and one who lives nearby ? Or looking for a school service who caters to your kids school ? Or looking for jobs online within your city ? 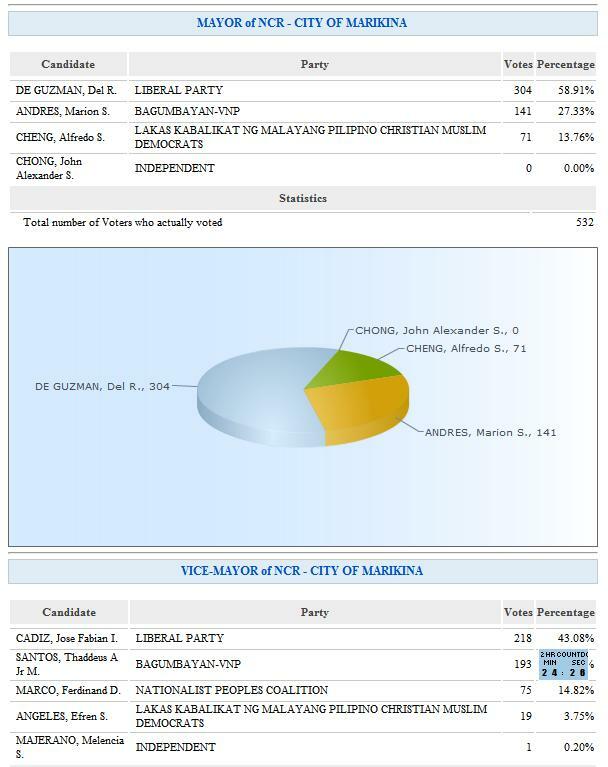 I did a quick search on AyosDito.ph for Marikina City and found these kinds of results. 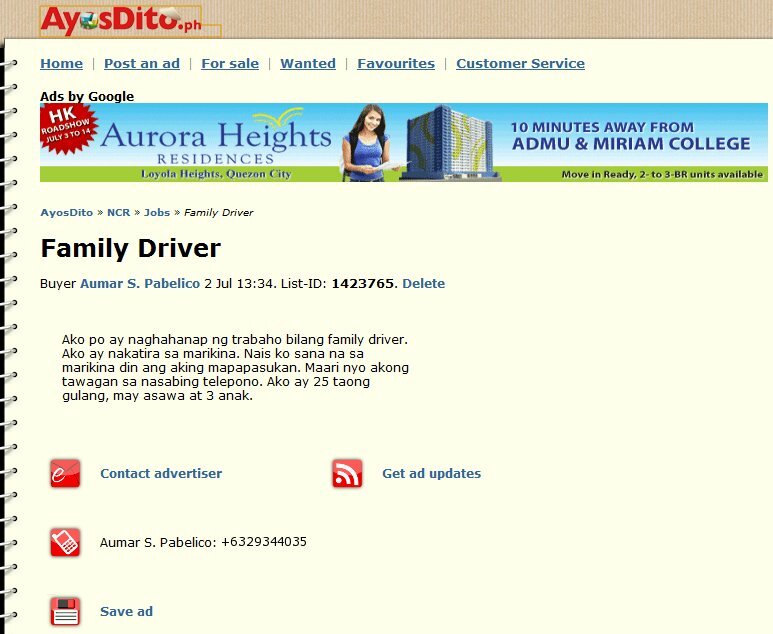 I even found an ad of a man currently living in Marikina looking for a job as a family driver. 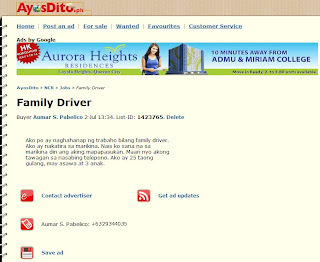 This would be handy for my tita who usually needs a driver and prefers one who resides nearby for convenience. This is what impressed me with AyosDito.ph. Their online service is not only limited to a classified ads buy, sell & trading of items, but also serves as a venue for jobs and services within your location. You won't find these kinds of ads on job sites who'll require you to submit your biodata and fill out a long form before adding you to their online database. For me, it's the simplicity of adding your data as well as searching for it from within your locality which makes AyosDito.ph convenient and effective. Try it out and do a search for Marikina and you'll find various results such as items, vehicles, condos, jobs, services and businesses within the city boundaries. It's convenient for those with immediate needs and don't know where or how to start searching. You just might find out that what you're looking for is close by. 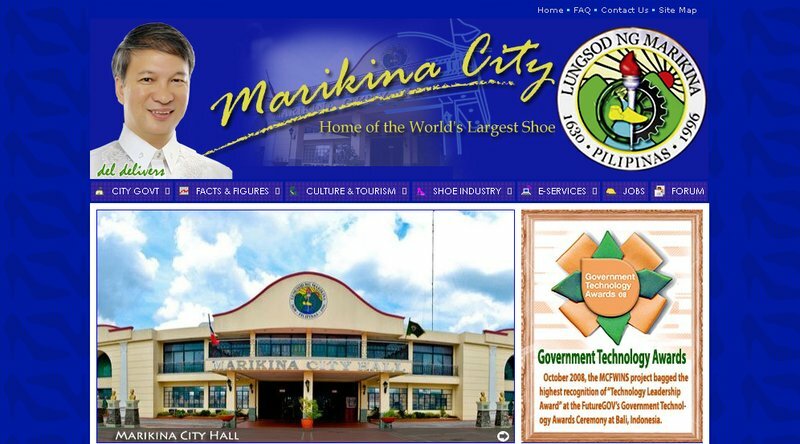 The official website of Marikina City at http://www.marikina.gov.ph adopts a new header as the new mayor of Marikina, Del de Guzman assumes office. The current theme is a blue background theme with seamless tiles of shoes displayed to reflect the city's pride for its shoe industry. A photo of Mayor de Guzman is now located at the top left header with the tagline "Home of the World's Largest Shoe" pertaining to the Guiness Book of World Record entry for World's Largest Shoes custom-made in Marikina currently located at the Marikina Riverbanks Center. 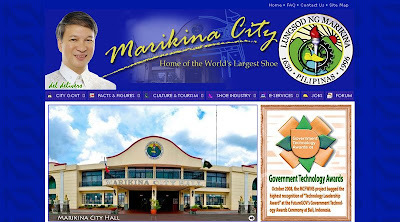 The Marikina City website previously won the Best Website in the (e-LGU) Local Government Unit and People's Choice in the 10th Philippine Web Awards. Preparations are undergoing at the Marikina City Hall for the inauguration of Mayor-elect Del de Guzman. The new mayor is set to be sworn in to office on June 30. Several tents and chairs are being erected behind the city hall. 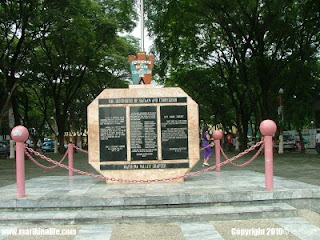 This is also the area where busts of all the former mayors of Marikina are located. 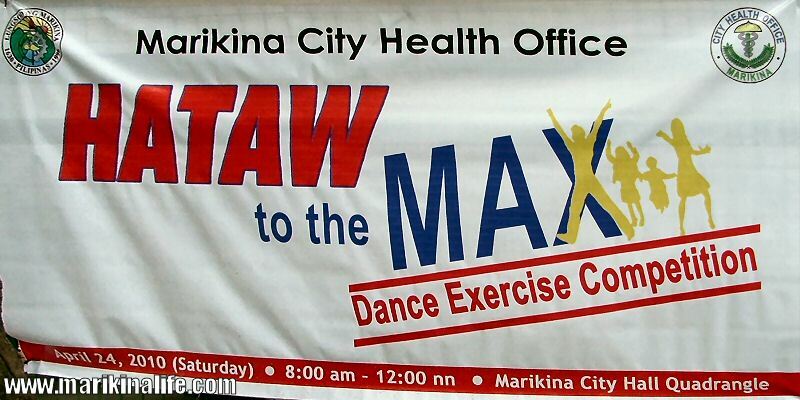 In the past, friends have asked for directions how to get to both Marikina Riverpark and Marikina Riverbanks. 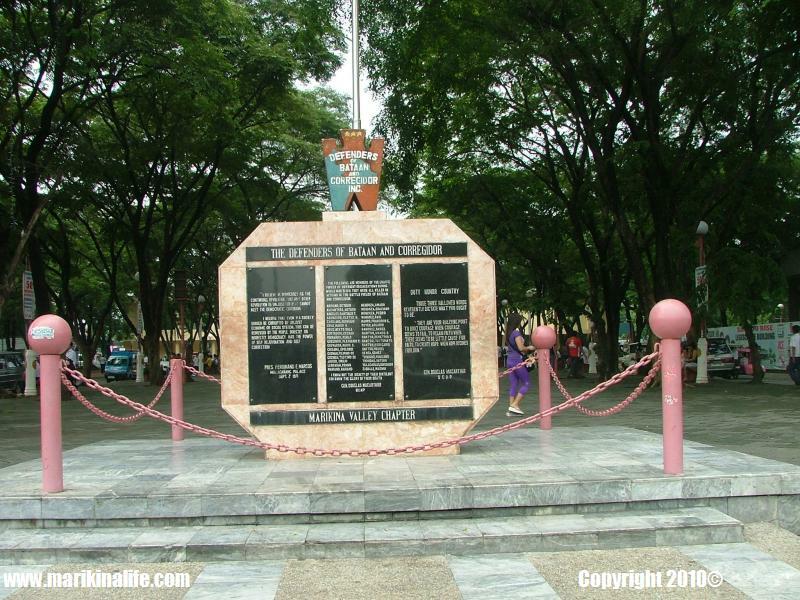 As similar as the names are, they're 2 different and separate places within Marikina. The only thing they have in common is that they're both beside the Marikina River. 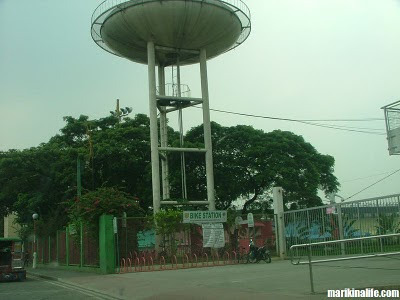 Marikina Riverbanks is home to the Marikina Riverbanks Center which is a mall home to Savemore Supermarket, Off-Price Dept. Store, Handyman and a lot of specialty and outlet shops. The mall is also popular for its huge section dedicated to shoes of all brands. 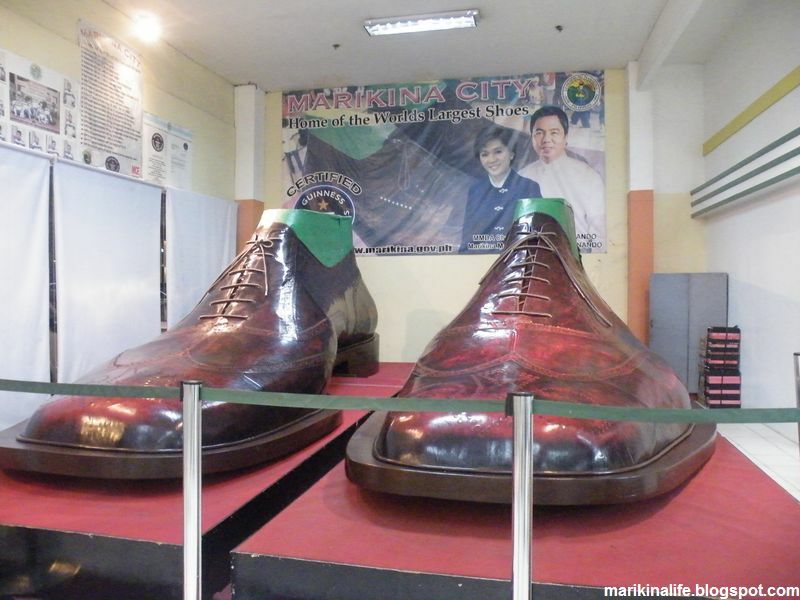 The World's Largest Shoes made by Marikenos is also displayed in the mall right beside the shoe stores. 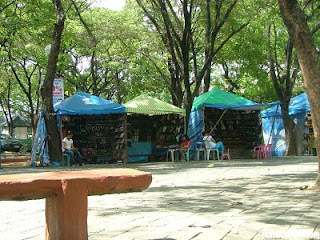 Aside from the mall, there are also several other establishments within the Marikina Riverbanks. There's the amphitheater along the river banks which serves as a park and concert venue. There's the Skyline Riverbend Hotel which is one of the two distinct hotels in the city. There's also a branch of the Sykes call center at the side of the hotel. In front of the hotel parking lot is the Kotse Network used car dealer with several cars displayed for sale. At the other end of Marikina Riverbanks is Dencios Bar & Grill Restaurant with an upperdeck and a birdseye view of the Marikina River from a vantage point. Just across the Grill is the E-com Building where the Philippine Science Centrum is located and Figaro and 7-11 by the roadside. There are 3 ways to get to Marikina Riverbanks. 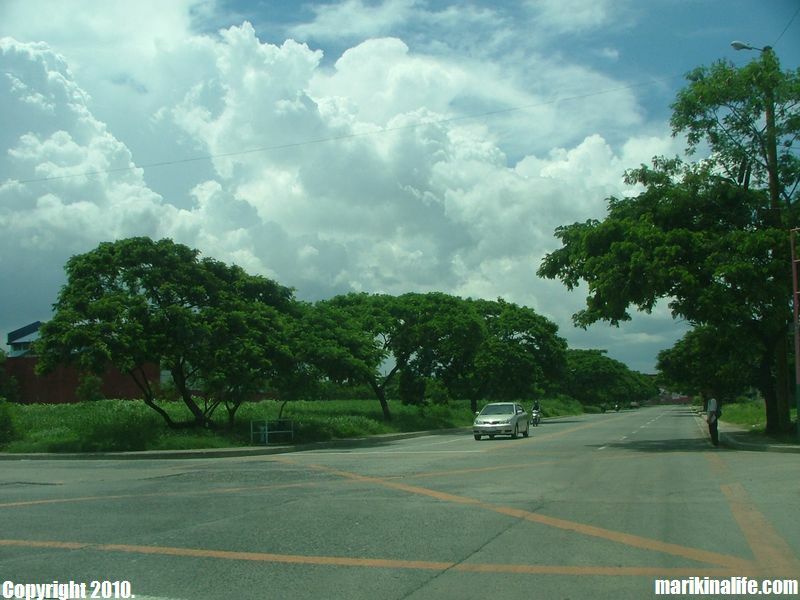 If you're coming from C-5 Libis, take the Marikina fork and follow the road parallel to the Marikina River. It will take you straight to Riverbanks. If you're coming from Antipolo, travel via Marcos Highway and take the exit after passing SM City Marikina and the bridge. If you're coming from Aurora Blvd in Quezon City, take the left fork flyover leading to Barangka, Marikina. 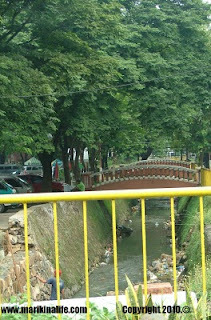 Turn right at the 2nd stoplight which leads to Marikina Riverbanks. 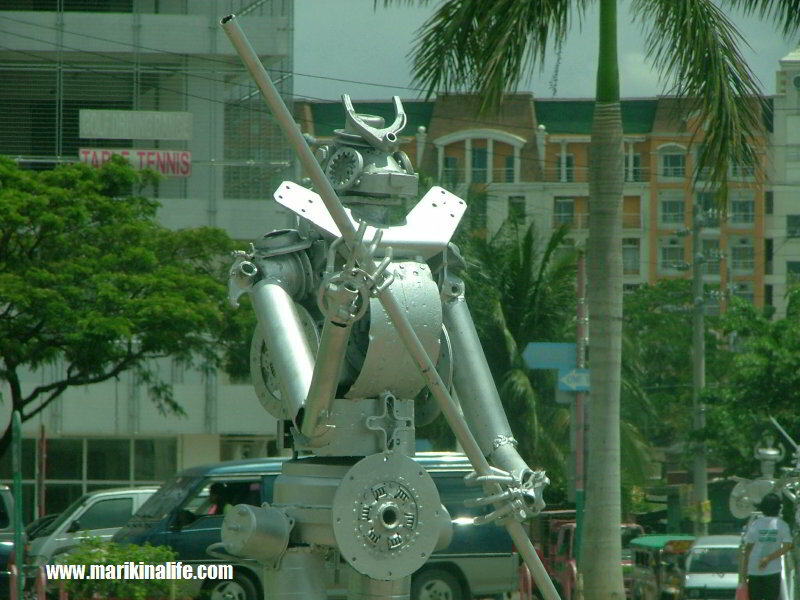 Marikina Riverpark is around 2 kilometers away from Marikina Riverbankst. 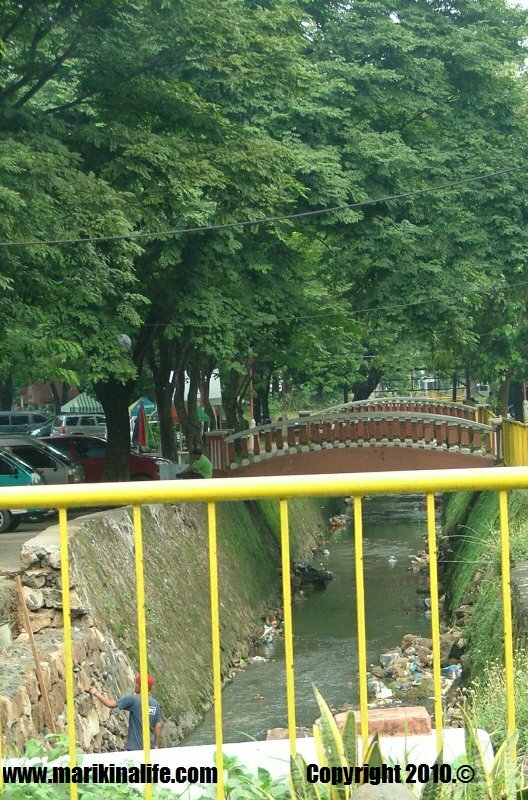 Both places are also connected by a pedestrian path parallel to the Marikina River and it would take a 10 - 15 minute walk to get from one to the other. 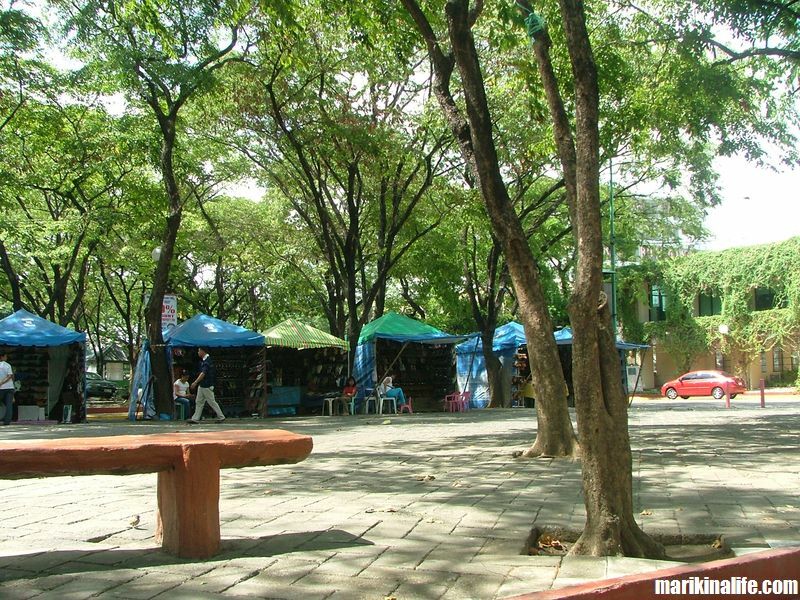 During the day, Marikina Riverpark serves as a bike and jogging path to several nearby residents. 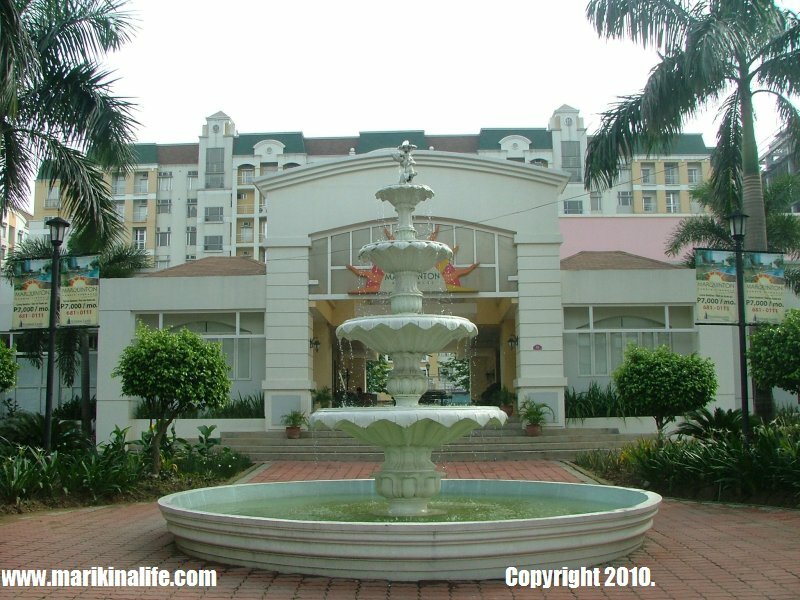 Health conscious people also form regular groups and exercise daily at the Riverpark. Just beside the riverpark is a prominent statue of a lady and a ship. 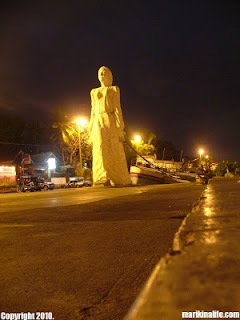 The Lady statue is popularly known as Marikit-Na who in one legend is believed to be where the name Marikina was derived. The ship behind her used to be a floating restaurant but discontinued service after Typhoon Ondoy. 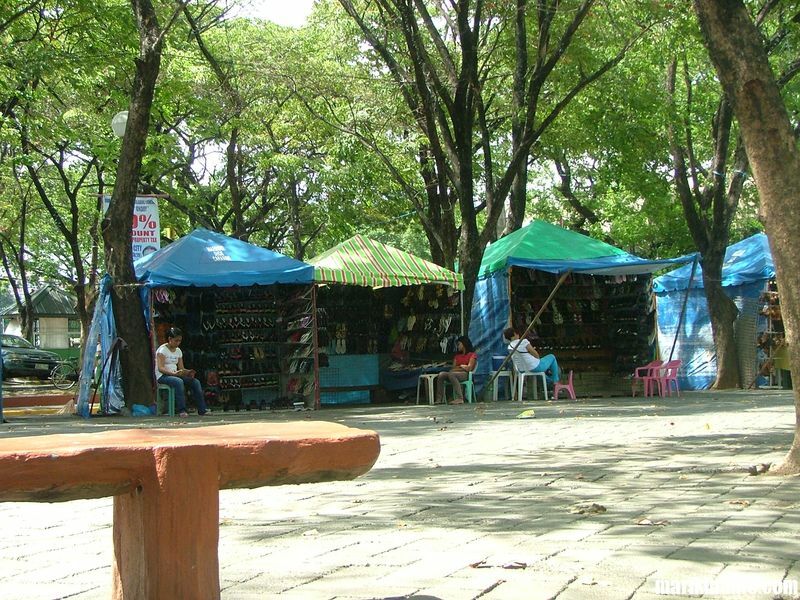 During the Christmas season, the entire open lot of Marikina Riverpark is transformed into a bargain tiangge area where hundreds of vendors put up stalls to sell all kinds of items in time for the holiday season. 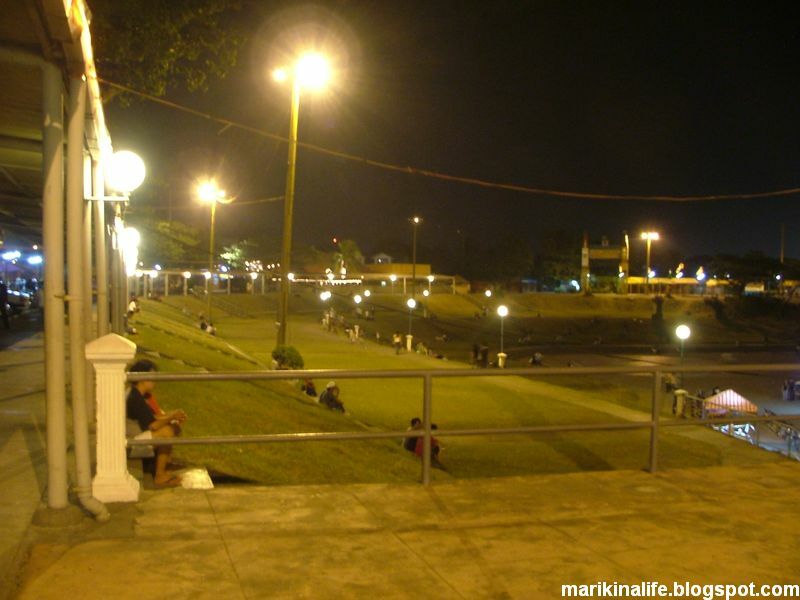 Marikina Riverpark is known for its colorful and lively nightlife. At night, the Riverpark suddenly becomes alive with lights and sounds as several bars & restaurants are situated along the river side. The likes of bars such as Bonchalet, Papajeks, East 53 and Enzimone offer food, drinks and live entertainment till the wee hours of the morning. 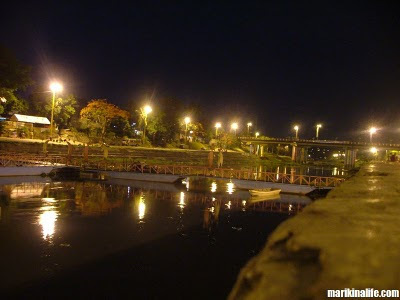 The river at night reflects the well-lighted pedestrian paths ideal for late night strolls at the park. To get to Marikina Riverpark from Quezon City, head to Aurora Blvd and take the left fork flyover to Marikina proper. Go straight until you reach the Marikina Bridge. To the right is the Marikina Riverpark. From C-5, take the same route as going to Marikina Riverbanks and head to the end connecting A Bonifacio St. Turn right and head straight till you reach the Marikina Bridge. If you're bringing a car, you need to take a left turn at J.P. Rizal after crossing the bridge. Then, take the immediate 1st left which will lead you to a road under the bridge which connects to the Riverpark stretch. Parking is free along the Riverpark. In any case, both Marikina Riverbanks and Marikina Riverpark are worth visiting and provide a scenic view of the Marikina River. 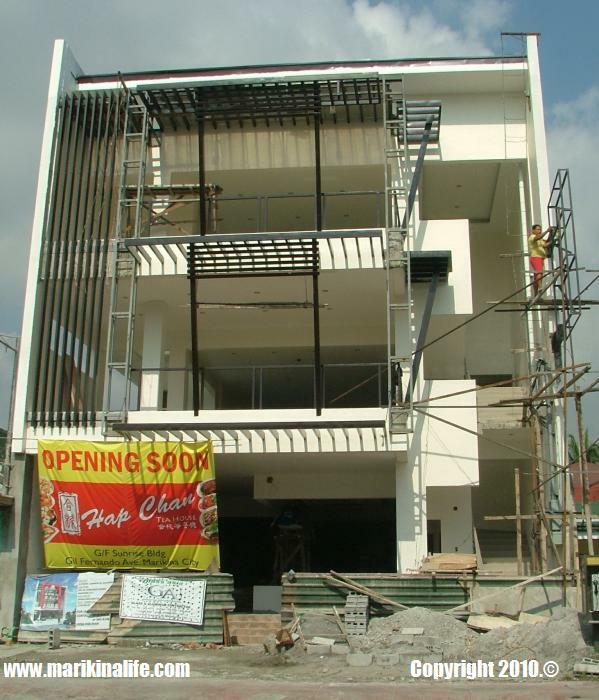 This is the backview of the Bluewave Marquinton where the soon-to-rise Cordova Tower is being built. Cordova Towers is the 3rd condominium building constructed within the Marquinton Residences. Marquinton Residences is located along Sumulong Highway corner Gil Fernando Ave. For more details about Cordova Towers, watch this AV presentation. 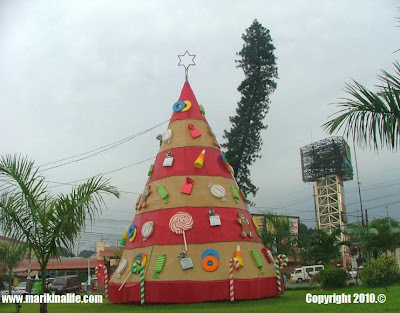 Located at the corner of Gil Fernando Ave. and Aquilina Street in Sto. Nino is the Public Service Center where the city engineering holds office. It's also serves as the parking lot for heavy equipment such as dump trucks, bulldozers, cranes and cement mixers. A small bulldozer monument is situated at the corner. This is Marikina River along the Riverpark around midnight. The lights along the Riverpark pedestrian and bike path illuminate the river. The newest music video of up and coming acoustic artist Princess Velasco was shot entirely at Pan de Amerikana, along Gen. Ordonez St. in Marikina Heights. 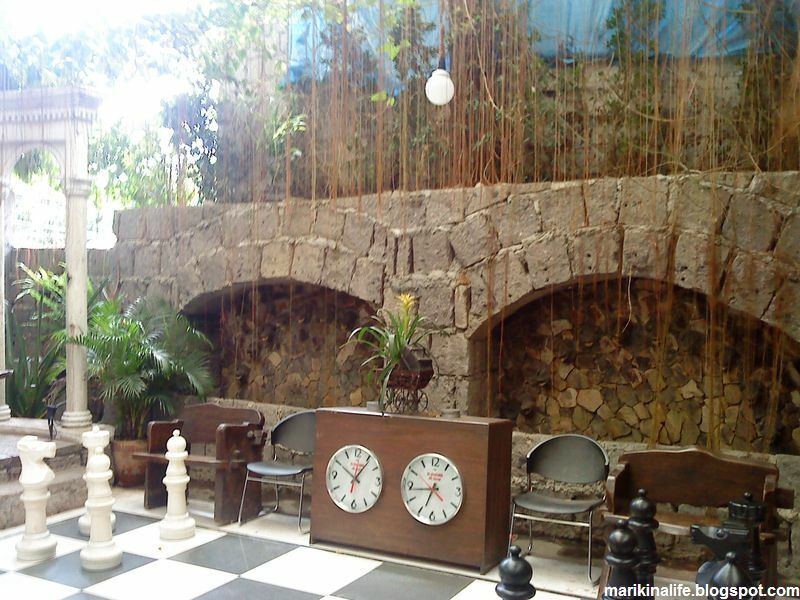 In the past, the Pan de Amerikana bakery & restaurant has served as background for photo shoots, model portraits and magazine features due to its unique interior design. 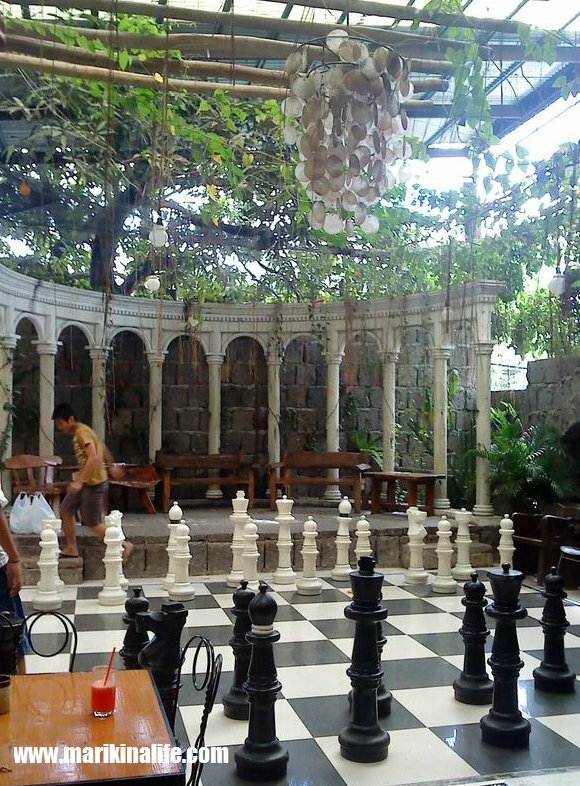 The video "You Still Have My Heart", taken from Princess' 2nd album entitled "Addicted To Acoustic 2" was shot on location at the restaurant featuring some familiar backgrounds inside such as the giant black and white chess board, the pillars at the back of the elevated platform and the side of the chessboard. The video shows Princess singing and playing the guitar in different positions using the restaurant's scenery as backdrops. What used to be popularly known as Bay Tree at the corner of Katipunan Road and Gen. Ordonez (formerly Molave St). is no more. Some who are not familiar with the place (usually those asking for directions) used to mistakenly call it "Bay 3". But for those who are familiar with this supermarket, it has been at this corner since the 1980's. 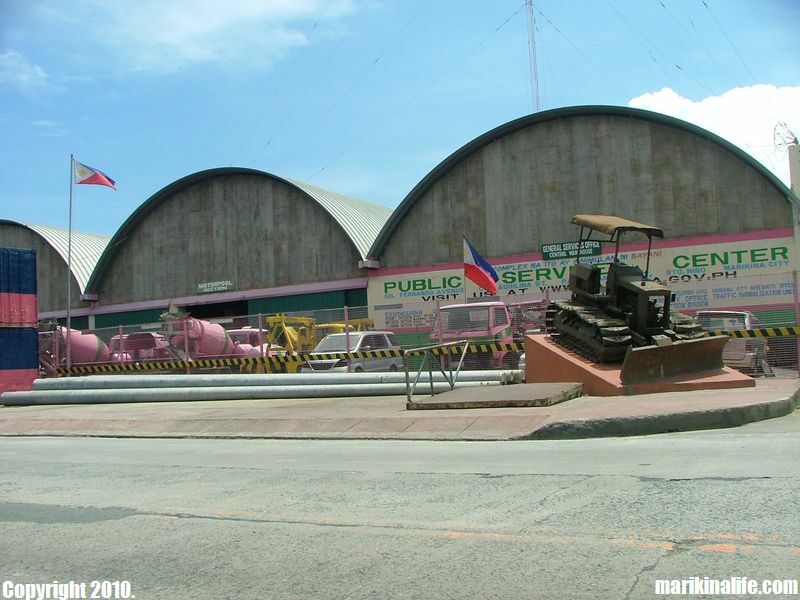 It has been there long before the Molave Wet & Dry Market was built just across it. Bay Tree also used to be home as well to several small stores adjacent to it and also served as a tricycle terminal along the Katipunan Ave side. Most of the time, Bay Tree served as shelter from the rains as people would stay here until rains subside. 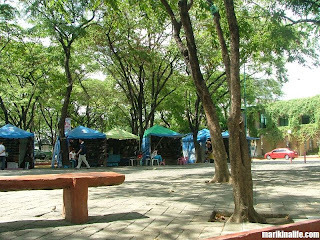 It also served as waiting shed for commuters waiting for the SSS Village jeeps and a meeting area for Marikenos living nearby. The building has been totally demolished and is currently just a vacant lot. 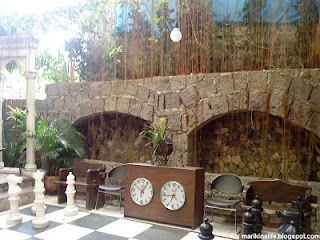 Bay Tree and Florings are 2 supermarkets surely to be remembered by Marikenos from SSS Village and Marikina Heights. Several tents have been put up at Freedom Park in front of Marikina City Hall for Marikina shoe retailers to showcase their shoes. 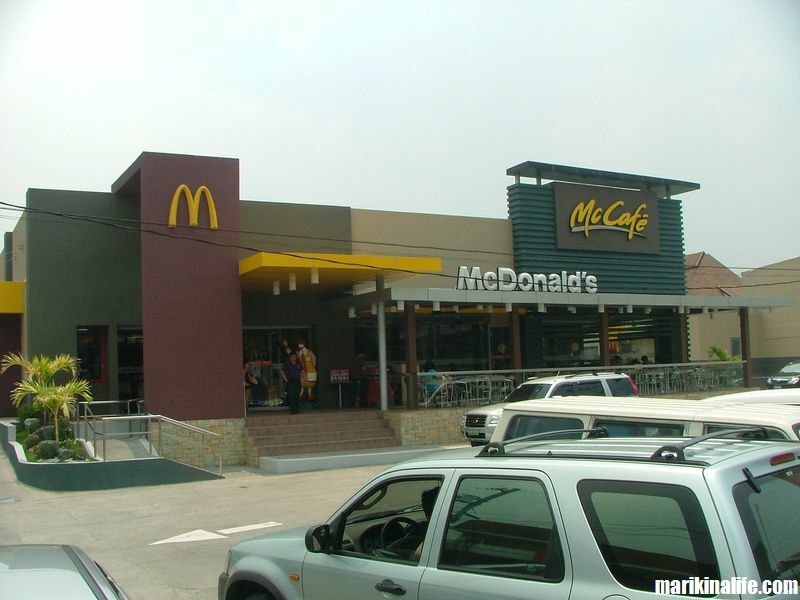 The McDonalds Marcos Highway branch has been one of the most popular fastfood branches in Marikina. 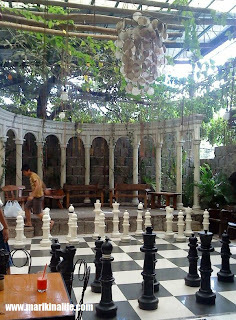 It has been a permanent fixture along Marcos Highway for years and has been home to thousands of meetups, birthday parties, family day lunch outs, friendly meetups and late night hangouts with friends. 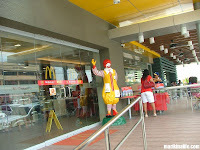 Unfortunately, due to the wrath of Typhoon Ondoy, several businesses were submerged including this McDonalds branch. 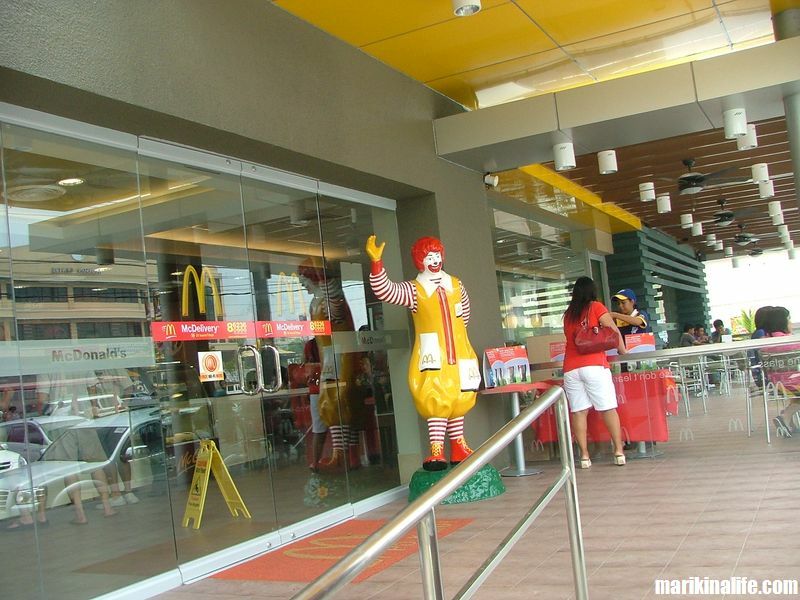 Fast forward to 8 months after the destruction of Typhoon Ondoy, McDonalds Marcos Highway has reopened its branch to the public last June 1, 2010. 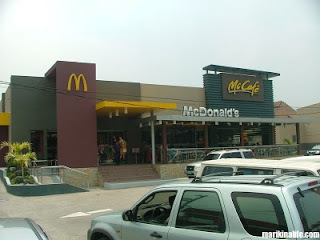 The old place was severely flooded which is why the fastfood chain wasn't just renovated but actually rebuilt its store entirely from the ground up. As a result, the new McDonalds is 4 feet higher above the ground including its terrace, function rooms, playground and drive thru thus making the branch flood free. 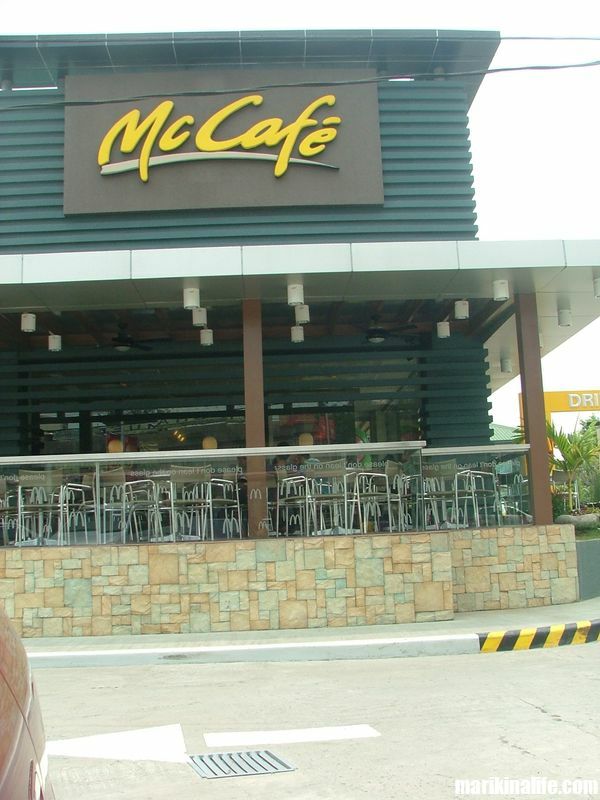 The store still has its McCafe counter inside and still operates 24 hours a day. Everything has been upgraded: a new look, new interior design, new party rooms, cozy seats and a spacious outdoor terrace for the smoking area. The function rooms can anywhere from 30 to 100 guests. 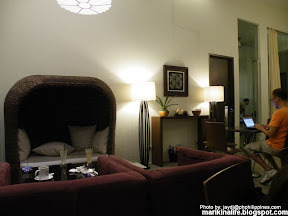 What's interesting is that the function rooms aren't only limited to birthday parties. 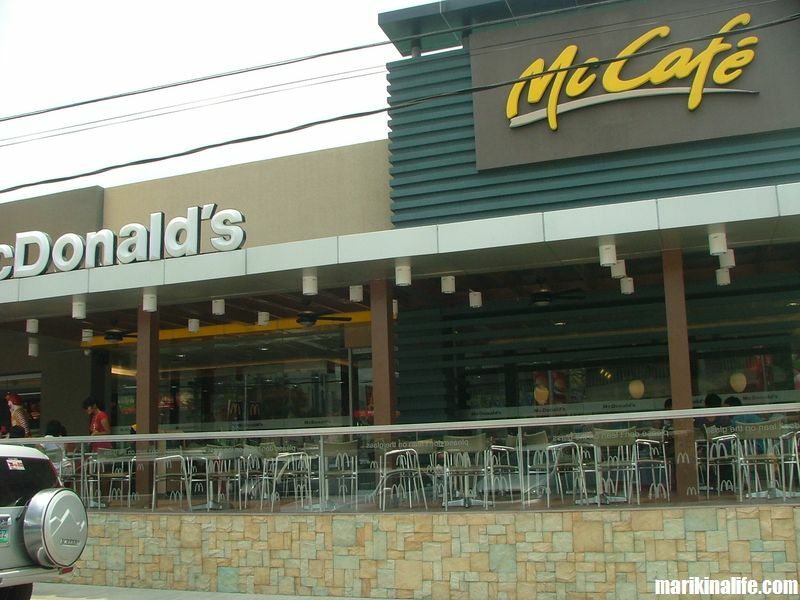 The manager of McDonalds Marcos Highway also mentioned that the function rooms can be reserved for business meetings for up to 2 hours with a minimum of P3,000. consumable. For inquiries on reservation and booking, call 646-0665. 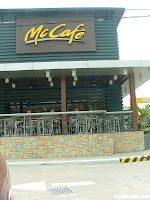 McDonalds Marcos Highway is located along Gunting St,. 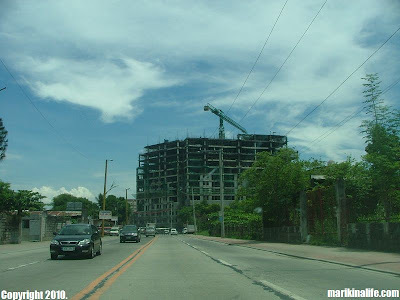 corner Marcos Highway, San Roque near Sta Lucia East Mall. 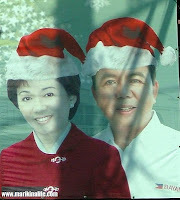 The 2010 Philippine Elections have come and gone and there have been a lot of things worth noticing. The very obvious one was that the recent national polls were the 1st automated elections ever. For Marikenos, it was a turning point since the Fernandos would be officially vacating the mayoral seat after 18 years, thus bringing in a new generation of government servants. The people have spoken through their ballots in the recent elections and interestingly enough, it's the Liberal party who dominated the top positions for Marikina. 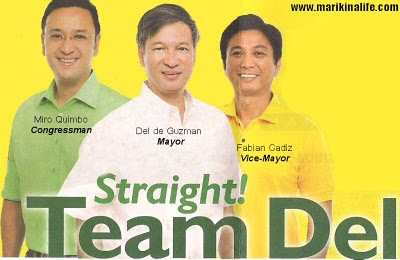 Newly elected Marikina Mayor Del de Guzman, Vice-Mayor Fabian Cadiz and 2nd District Congressman Miro Quimbo all hail from the liberal party. Del de Guzman is no new name to Marikenos. Born on January 9, 1963 Del has finished his elementary and secondary education at H. Bautista Elementary School and Roosevelt College in Lamuan respectively and earned his degree in Political Science from University of The East in 1985. As a Marikenyo servant, he has served as Councilor and Majority Floor Leader in the Municipal Council of Marikina from 1988 to 1992 and Vice-Mayor from 1992 to 2001. 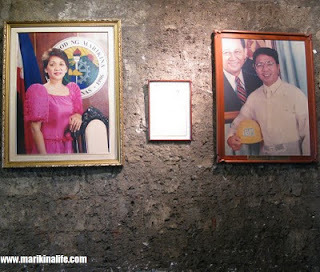 He was vice-mayor when Bayani Fernando was the acting mayor during that time. After serving as Vice-Mayor, he ran and was elected as Congressman representing Marikina City in the Congress since 2001. He is also the 1st congressman of Marikina City to become the Deputy Majority Floor Leader in the House of Representatives. As he ends his term as Congressman, he will be the 11th Mayor of Marikina City. 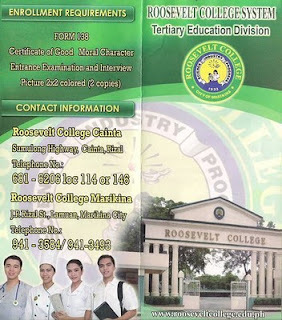 Roosevelt College Marikina has been one of the longest running schools in Marikina. Located along J.P. Rizal St, in Lamuan, Roosevelt College was founded in 1933 and have produced thousands of graduates since then. Roosevelt offers Elementary, Secondary and Tertiary education. 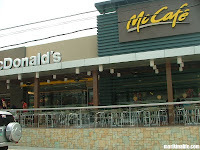 They also have other branches in Cainta, Cubao, San Mateo and Rodriguez. 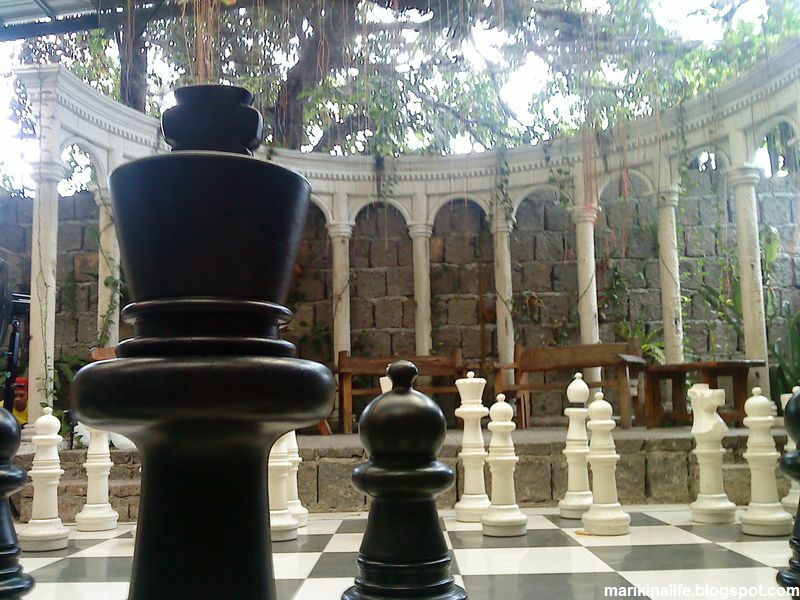 Their Marikina Campus also offers degree programs such as AB Psychology, BS Information Technology, BS Information Systems, BSBA Human Resources Development Management and BSBA Operations Management. In addition, they also offer short term programs such as Computer Hardware Servicing and Computer Programming. Roosevelt also offers 3 kinds of scholarships and financial aid to deserving and qualified college students. Entrance Scholarships are for honor graduates from private and public schools who can avail of tuition fee discounts. Earned scholarships are for non-graduating students in any year level who excel academics based on previous semesters. Lastly, non-academic scholarships are granted to children of full-time Roosevelt College System employees based on order of birth and whether one or both parents are employed. They may avail of tuition fee discounts as well. In addition, scholarships are also given to Drum & Bugle Corps members, Members of the PNP, siblings enrolled in any unit/level of Roosevelt, full time personnel enrolled in the undergraduate and graduate leves and athletes. 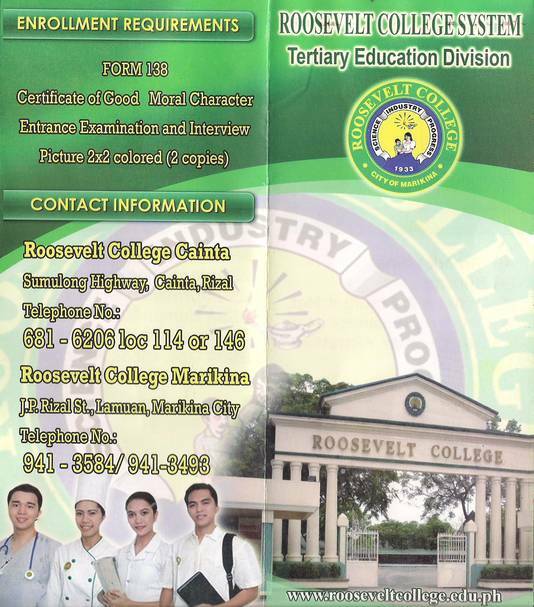 For more information, visit the official website of Roosevelt Colleges at http://rooseveltcollege.edu.ph or contact them at 941-3584 and 941-3493. I remember that in the 90's, I had to go to Aurora Blvd in Cubao just to take my driving lessons. And then we'd drive in Marikina. The last few days of training would be at the inclined portion of Gen Ordonez coming from Marist School. That's where I learned how to drive a car in "hanging" position. Unlucky for me that during those times, you didn't have a choice of car and so I had to learn the stick shift type even though our car was automatic. The car was also a non-airconditioned car which made learning to drive a bit more unbearable and stressful. 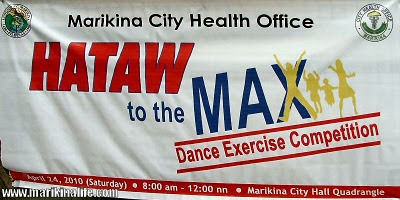 Now you don't have to go far away as there are driving schools in Marikina. 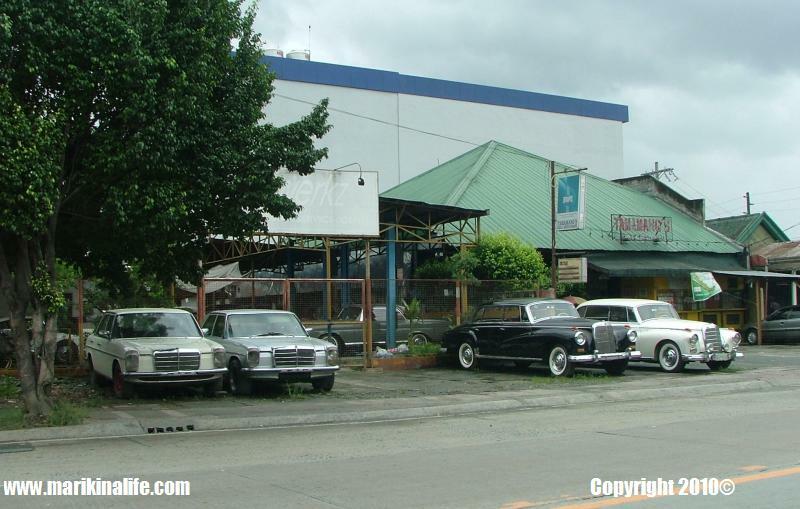 Dynamic Driving Institute is located along J.P Rizal St. in Sto Nino. Their main offices are at 319 and 442 J.P. Rizal, Sto Nino and with other branches at 18 E. Sumulong Highway (before Marikina birdge), Concepcion, Bayan-bayanan Branch (in front of Conception Church) and Bluewave Marquinton Mall. They are accredited by LTO. They offer driving training courses for both manual and automatic types with different packages starting from a 2 day rush course to a 15 day course. All the cars they use are air-conditioned. Plus they offer lectures on troubleshooting, defensive driving and traffic rules and regulations. Learning how to drive now is much more easy and convenient. To inquire and enroll at Dynamic Driving Institute, you can contact them from their main offices at 948-6476, 941-7884 and 0915-3488539 for their Sumulong and Marquinton branches. 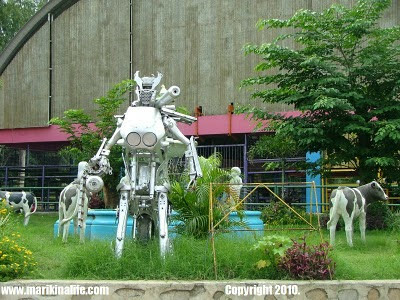 This is one of the many robots behind Marikina City Hall surrounding the fountain area. At the robots back is the Marquinton Residences. 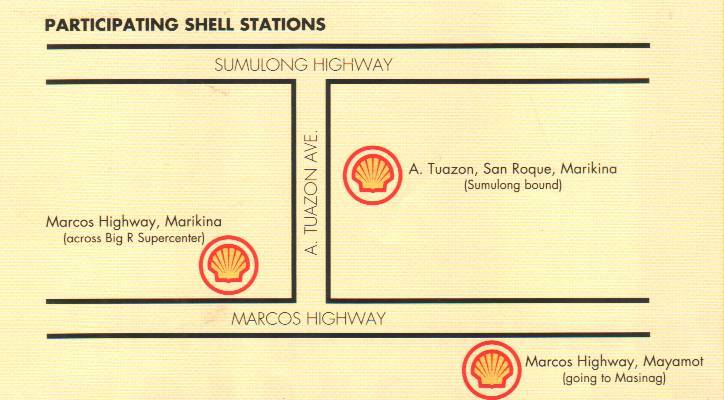 The Shell Marikina promo is extended ! As their "Pasasalamat Ng Shell... sa bawa't karkga, may libre ka !" 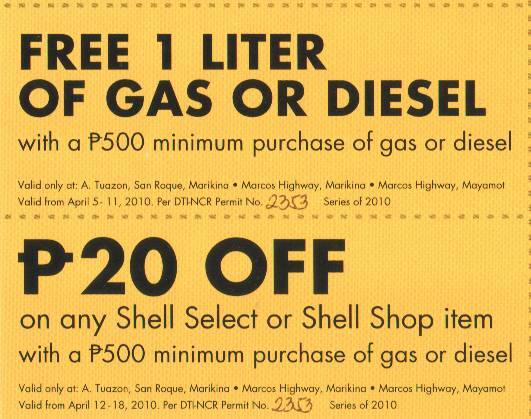 promo, the 3 Marikina Shell gas stations are giving away a free liter of gas and rebates on their Select store. From April 19 - 24, 2010, get a free liter of gas or diesel with a P500. minimum purchase of gas or diesel and from April 25-30, 2010, get P20. off any Shell Select or Shell Shop item with the same P500. minimum purchase. When you gas up for P500., just present a coupon (which can also be requested at any of the above gas stations) and present the coupon for your free liter of gas or P20. off Shell Select items. You can redeem your free liter of gas immediately. That's worth around P40. - P50. depending on what kind of gas you're using.